1. This system is only compatible with Walbro pumps (Ti Automotive F90000267, F90000274, and F90000285). For more information on fuel pump identification, click HERE. 2. This system requires the use of an aftermarket fuel pressure regulator. 3. 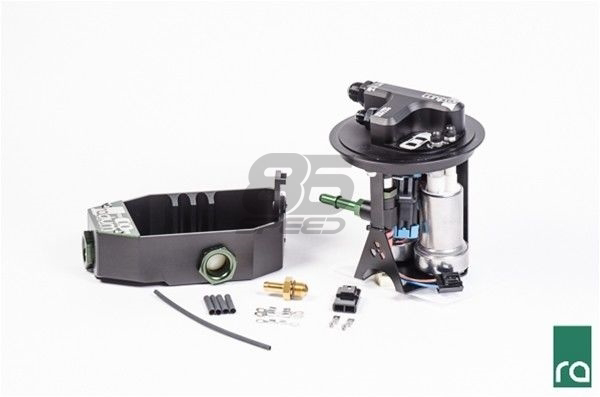 This system eliminates the OEM hanger's "post" fuel pump filter. A low micron aftermarket fuel filter should be installed downstream to protect the injectors from contaminants. The machined assembly mounts in the factory fuel tank using the OEM ring and gaskets and reuses the OEM fuel level sender. A single -8AN male pump feed port and -6AN male return port simplify aftermarket -AN hose plumbing. The complete assembly fits under the OEM access cover without modification. The custom designed stainless electrical studs easily handles the high current demand that compact bulkhead connectors lack. These serviceable connections are properly sealed and impervious to all standard and exotic fuels. The low profile design keeps all wiring tucked nicely underneath the OEM cover plate. Nylon acorn nuts are provided to prevent any accidental short circuits. 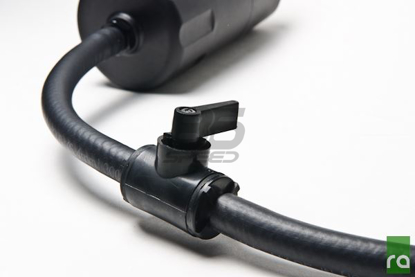 Furthermore, the high quality in-tank wiring is insulated with chemically resistant PTFE. The kit includes a venturi jet pump with a new pressure-relief valve. Without a properly designed jet pump, fuel cannot be properly transferred from the passive side of the OEM saddle bag fuel tank to the active side where the pump(s) reside. When fuel pump flow is increased, the OEM jet pump becomes too restrictive creating unwanted backpressure in the FPR return line causing excessive fuel rail pressure. The kit also includes a FT86-specific contoured billet aluminum collector box. This container is NOT a total solution to fuel starvation, but does improve the fuel supply around the pump(s) inlet. There are two 1" check valve balls incorporated on the tank that serves as trap doors keeping the pump(s) supplied dynamically with fuel during aggressive driving. Furthermore, all returning fuel from the pressure regulator return and the crossover hose enter the collector box through a one-way duckbill valve keeping it full. The duckbill valve prevents back flow and reduces noise from fuel spray. The collector box also permits a mounting solution for the OEM fuel level sender. Single pump applications can reuse the OEM fuel pump controller wiring, but it is recommended to upgrade the wiring as these high flow fuel pumps draw additional current requiring larger gauge wire. If supplying your own pumps, select the option "Pumps Not Included" from the menu. 1. Installer-supplied pumps must not have any damage or modifications to the pump outlet hose barb. If the hose barb has been cut, damaged, deformed or modified in any way, it must be replaced with a new pump. 2. There will be enough components included with this option to use 1 or 2 fuel pumps. Depending on the setup, some parts will simply not be used. 3. A pliable fuel pump filter sock like Radium 14-0143 must be used for proper fitment. If pumps are needed, the kit will come preassembled with 65 micron sock filters installed on the fuel pump inlets. A low micron filter still MUST be installed downstream on the main fuel feed line. 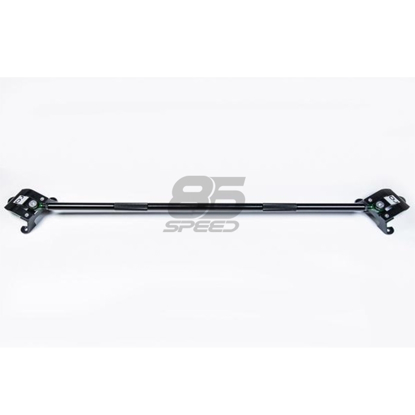 Aluminum strut tower brace/bar for increase in chassis stiffness . Keeps oil, gasses, and debris out of the intake pipe, manifold, turbocharger, and intercooler during all engine loads. Carbon Fiber Side Marker delete (Pair). Wet/glossy look. High quality 27mm Denso core radiator by Verus Engineering. Same construction used in NASCAR, Trophy Truck Racing, Grand Touring, and more. Must buy for elite cooling across the board, worldwide, and in any conditions from daily driving to racing season. No more melting plastic! Cover the rear plastic bumper with this 100% full carbon NO fiberglass Exhaust cutout covers.